Wild, The (film) In this animated comedy from C.O.R.E. Feature Animation & Complete Pandemonium, a group of animals leave their comfy life at the New York City Zoo to head out on a rescue mission to Africa. 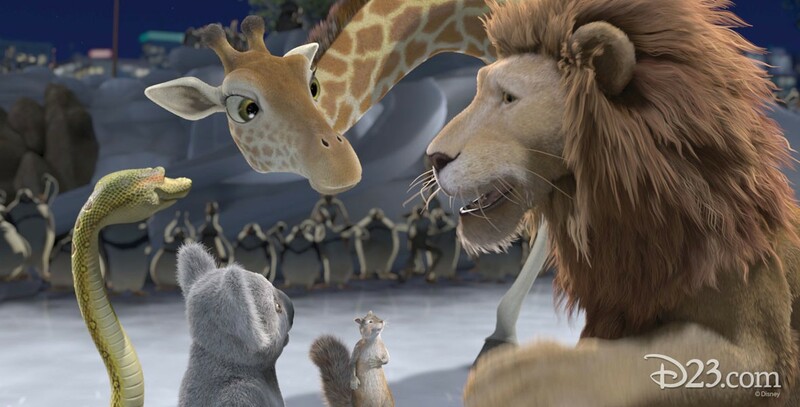 Led by the lion, Samson, Bridget, a nearsighted, intellectual giraffe; her boyfriend Benny, a cheeky streetwise squirrel; and Larry, a boa constrictor, manage to make it through the urban jungle, but when they reach Africa, it is a whole new world. None of them has ever been in the wild and they have to quickly learn lessons about the survival of the fittest. Directed by Steve “Spaz” Williams. Released on April 14, 2006, after an April 12 release in Belgium and France. Voices include Kiefer Sutherland (Samson), Jim Belushi (Benny), Eddie Izzard (Nigel), Janeane Garofalo (Bridget), William Shatner (Kazar), Richard Kind (Larry), Greg Cipes (Ryan), Patrick Warburton (Blag). 85 min.